The Summer Garden was the favorite creation of Peter the Great, and a triumph of imperial landscaping. St. Petersburg impresses with its atmosphere of Russia’s imperial past: Wide streets, imposing buildings, picturesque bridges and luxurious gardens. 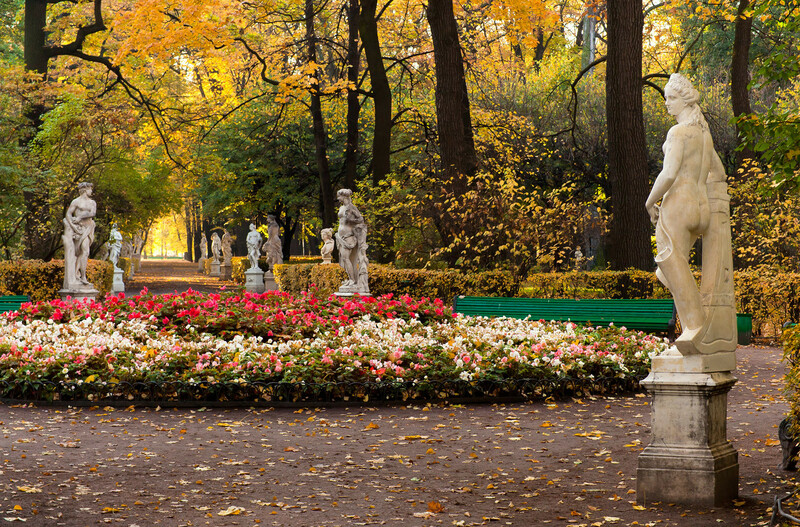 Walk down Sadovaya Street until Swan Canal and you’ll come to the city’s main park, the Summer Garden (Letny Sad). Designed in the early 18th century, it has many secrets and now you can know them all! 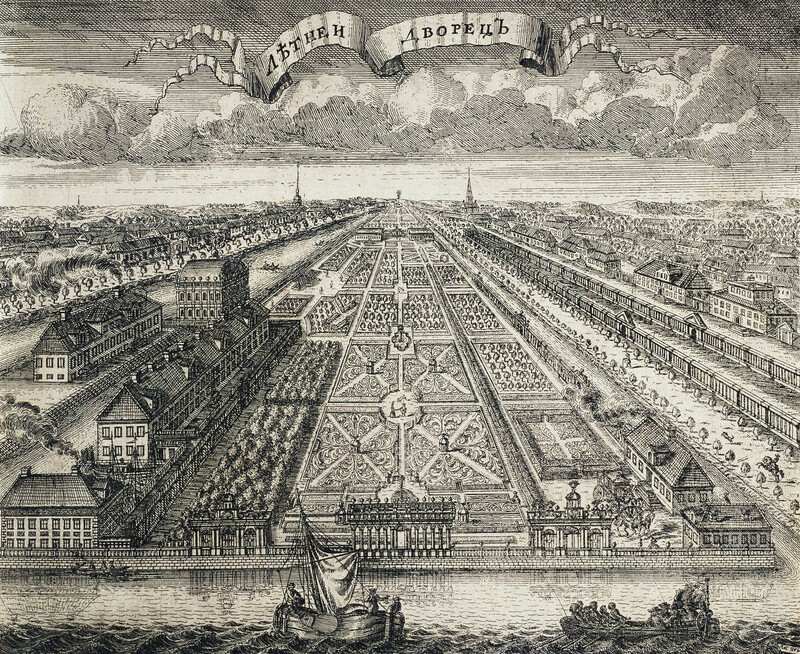 Summer House and Summer Garden in St. Petersburg, 1716. The Summer Garden was created in 1704 by order of Peter the Great, who wanted to build a great garden just like in other European capitals. 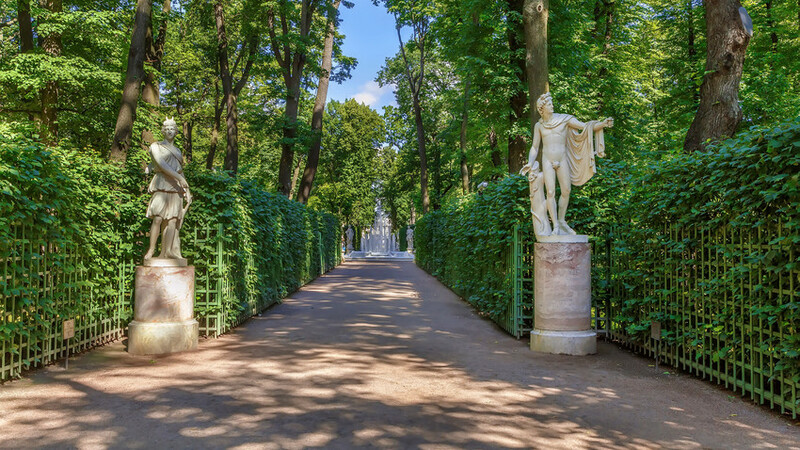 The garden was modeled after the park at Versailles, but the Russian Emperor wanted to surpass his French counterpart, Louis IV. So, Peter hired the best architects of that era: Rastrelli and Trezzini. According to the rules of elegant gardening, the park’s alleys were planted with evenly trimmed shrubs. The four sides bordered by these “green walls” were filled with garden decorations: Ponds, fountains and Italian marble sculptures. 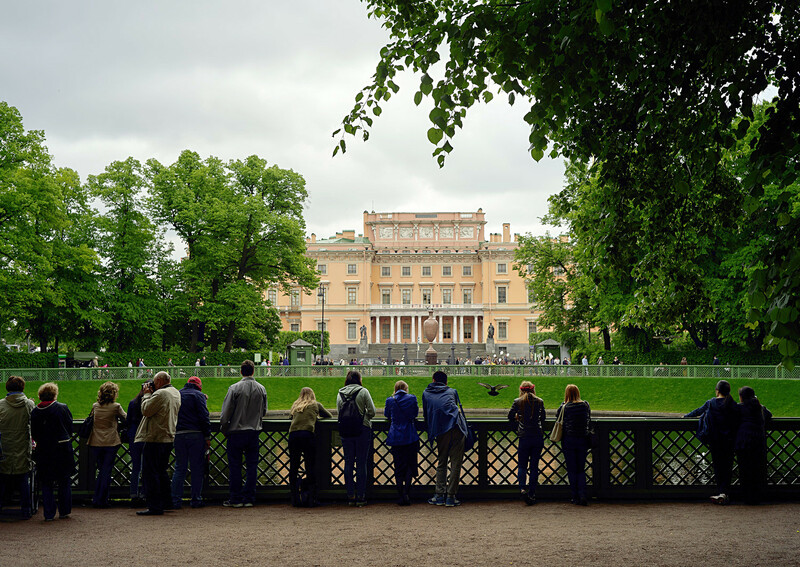 At first, one could visit the park only by personal invitation of Peter the Great, but eventually it was opened to all of polite society and became a beloved place for nobles and intellectuals. One romantic legend says that a British lord visited the city during the White Nights. His ship sailed up the Neva and docked near the Summer Garden. Charmed by the majestic beauty of the park the lord refused to come ashore, saying that this would be pointless because he’d never see anything more beautiful. “I saw everything I wanted to in St. Petersburg: The fence of the Summer Garden during White Nights," he said, and headed back to England. Believe it or not, but the wrought iron gates and fence still look impressive! The fence, which was decorated with gold-plated flower petals, was partly made in the 1780s in the city of Tula, which was famous for its artisans,. In 1866, the fence witnessed a historic event – a failed attempt on the life of Emperor Alexander II took place in front of it. In memory of these events, a chapel was built next to the central gate, which was dismantled by the Soviets in 1930. The Summer Garden was built on the site of an old Swedish major’s estate, where Peter the Great first lived before taking up residence in the Summer Palace. Initially, the garden received its name thanks to the efforts of Imperial gardeners who planted so-called letniks, the annual flowers. Still, the garden continued to be called “summer” in contrast to the winter gardens that were often planted in enclosed spaces of city mansions. A second palace was built here for Peter's wife, Catherine I, and the adjacent building held an art gallery. In fact, it was the country’s first art gallery with works by leading European artists. Unfortunately, both buildings are no longer standing. According to Peter’s wishes, the Summer Garden was to be not only as a place of rest for city residents, but also to enhance their education. 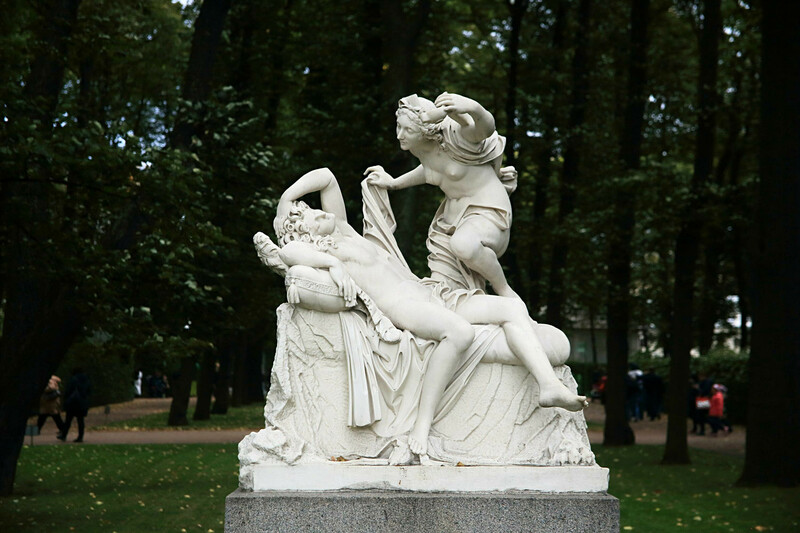 By the second half of the 18th century, the number of sculptures in the park increased to 250. Among them was the famous statue of Venus found at excavations in Rome in 1718. However, after the floods of 1777 and 1824, many statues were moved to palaces and museums. Venus was brought to the Hermitage. The only structure preserved in the garden since Peter’s era is the Summer Palace built in 1710-1712 by Trezzini. In 1934, the park with its huge collection of marble sculptures, the Summer Palace and the house of Peter the Great were given museum status. Soviet architects studied the historic buildings and its galleries, and the sculptures were restored. Now, the Summer Garden is an official branch of the State Russian Museum.